a youth director and a pastor who can preach dynamic sermons. OK, I am kidding, but having been the pastor of two “turn-around” congregations and having consulted with many other congregations that were plateaued or in decline, I can’t tell you how many times I have heard variations of this spoken by congregational members. The truth is that by repeating this myth congregational members reveal the heart of the problem, which is the mistaken belief that, for the church to be renewed, someone else has to do something. To love our neighbor means that we desire for them to have the things that we cannot imagine living without. If we truly hold the Great Commandment, loving the Lord with all of our heart, soul and mind, then sharing our love of God becomes the primary way we show love to our neighbor. When we fully grasp the implications of the Great Commandment, we begin to see that the Great Commission is more than a duty. It is the ultimate expression of our love for our Lord and our neighbor. Because we love Jesus we seek to become disciples. Because we love our neighbor we seek to make them disciples also. This is the heart of renewal. It is time to put to rest the notion that our congregations are declining because of lack of money, staff and physical resources. Jesus did a pretty good job with no staff, no funds, no church building and only twelve regular attenders. If we want to renew our congregation we need to listen and learn from the Master himself. Jesus spent three years making disciples. During those three years he opened the scriptures to them (Luke 24:45), taught them how to pray (Luke 11:2-4), empowered them with the Holy Spirit (John 20:22) and sent them into the world to make disciples (Matthew 28:18-20). 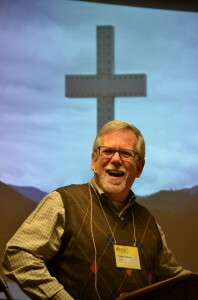 The NALC is taking seriously Jesus’ command to make disciples of all nations. We realize, however, that in order to do this we must take the time, as Jesus did, to teach our people how to be and make disciples. In response to this the NALC began a partnership with the Navigators Church Discipleship Ministry team. Some of our congregations have already started the process of learning what it means to be Discipling Congregations. You can learn more about the Navigators’ Church Discipleship Ministry at http://churchdiscipleshipministry.org/ or contact a member of the NALC’s congregational renewal team by emailing missions@thenalc.org.